Video analytics and ports go hand-in-hand. Seaports, including both freight and cruise line facilities, face a number of distinct security challenges. Because seaports include both a seaside that cannot be fenced and a landlocked area, port security must account for these two vastly different terrains. Among many challenges, some of the most important and common ones are —to protect our ports’ seaside and landside areas from unauthorized intrusions and potential terrorist activities. 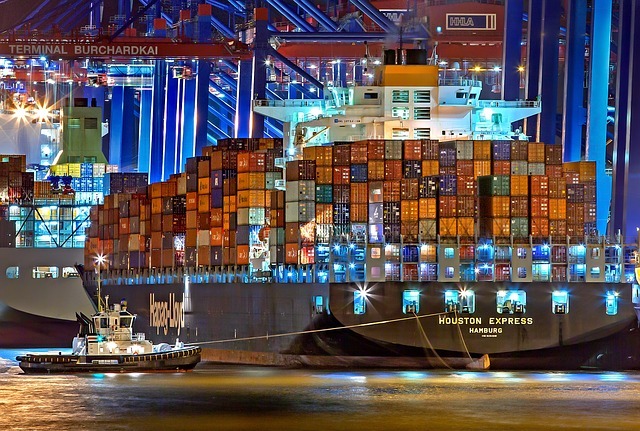 For freight seaports, this means monitoring containers, maintaining fence protection systems, ensuring cargo remains safe and sanitized, and controlling incoming rail and truck traffic. For cruise ship seaports, this involves maintaining a secure, boat-free perimeter around docked cruise ships and enforcing passenger and baggage screening zones within the seaport’s boarding terminal. This is where iOmniscient comes into the picture. iQ-Ports is a comprehensive portfolio of applications that that can fulfil each departments specific requirement, while operating as a single integrated system to ensure quick distribution of information to all concerned when any event occurs. Trespassing – wrong way or unauthorized entry. People counting or crowd management. Prevent unauthorized access across the docking area. Prevent beggars/homeless people sleeping in and around the port. Detect running/skateboarding/ slip and fall on platform. Detection of objects protruding from cargo ships.